A blue quilt for my niece. 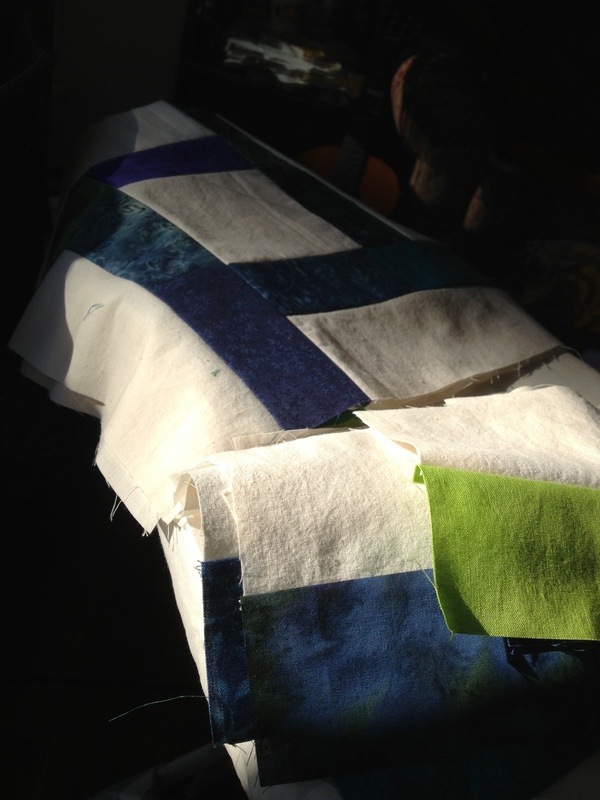 Probably HST’s sewn together to make small and large squares. Gotta finish it by her wedding in June!!!! The “Welcome Back, Kevin” quilt. Quilt my rainbow bricks quilt. It has been languishing on the shelf for a year!!!! The only decision left to make is black vs. invisible thread. Quilt the starshine quilt. It’s mine. I deserve a damned quilt. My parent’s crosshatch quilt. Only 30 partial seam blocks to go! 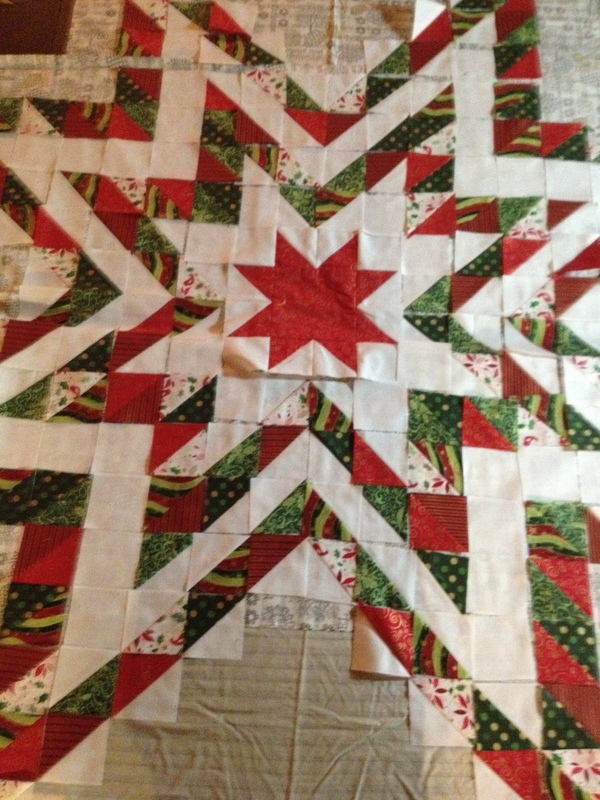 The Christmas echo star quilt. Okay, so this one probably won’t be done anytime soon. Andy’s fingerless gloves. Attach the finger flaps, then knit and attach the thumb flaps. If I don’t hurry up, it’s going to take me another winter. My mother’s blueberry pillow (or possibly throw-sized quilt, but probably pillow). This should probably get finished before her birthday in March. 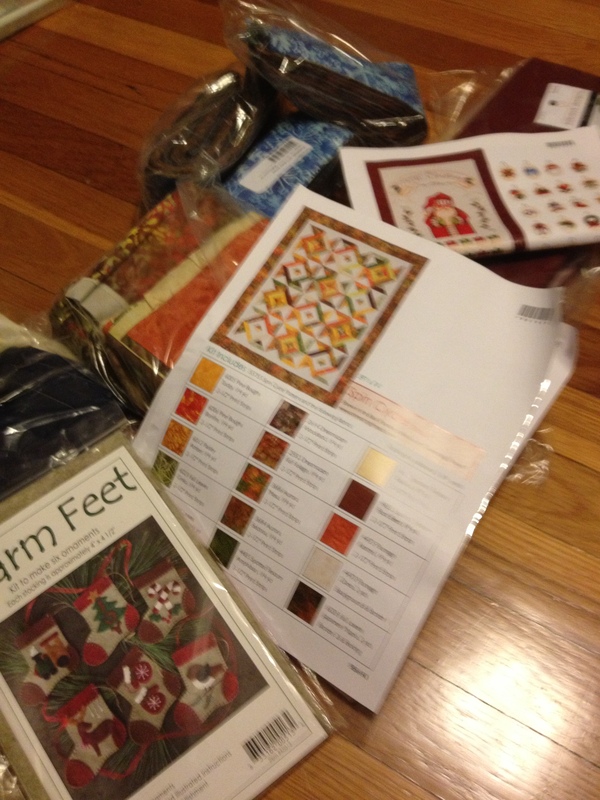 The Vintage Quilt Revival sampler in solids!!!!! Possibly even a Retro Rubies tablerunner. Well, that’s a long and entirely unmanageable list. Can’t wait to get started on it this weekend!! !